Align your life with the phases of the moon. The fortnight between the full moon and the new moon is the realm of the Blue/Black Goddess Kali. This is a time of great transformation. 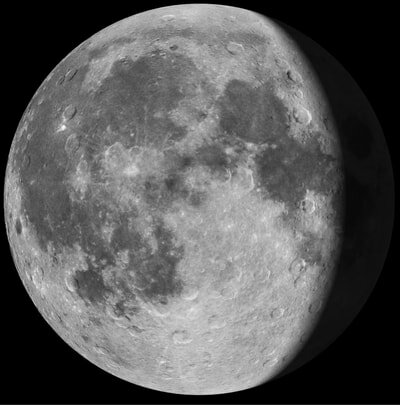 Harmonize with the waning moon by being aware of the energy of each lunar phase and taking the moon into consideration when you plan your day. Full Moon + 1: Kali is tonight's Lunar Goddess. She is the Nitya of Emotion. Acknowledge the chaos that is surrounding you. Don't stuff your emotions; instead, express them through music, art and writing. Accept yourself as you are and use your feelings as tools for personal exploration. Full Moon + 2: Kapalini is tonight's Lunar Goddess. She is the Nitya of Skulls. 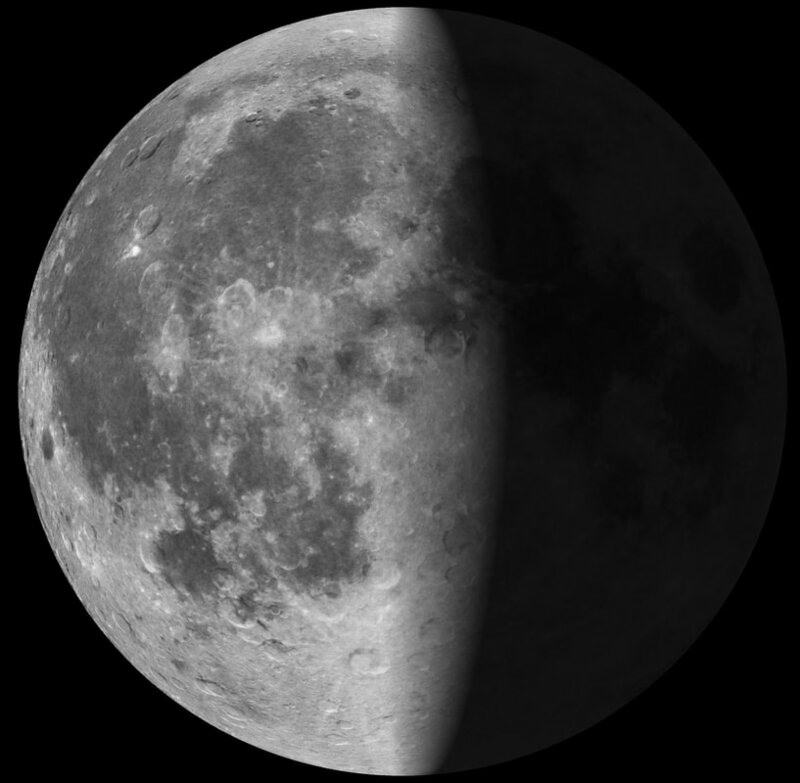 This evening's moon warns us to regroup and adjust because major changes are on their way. It is time to reconnect with dead parts of ourselves that have been buried and forgotten. Full Moon + 3: Kulla is this evening's Lunar Goddess. She is the Nitya of Reflection. Tonight, look at yourself objectively from the outside in. Focus on changing shortcomings, negative tendencies, and bad habits. Full Moon + 5: Virodhini is this evening's Lunar Goddess. She is the Nitya of Self-Acceptance. This is a night for revelations, disclosures, and spiritual transformation. Overcome any doubt and know that inner transformation is possible. 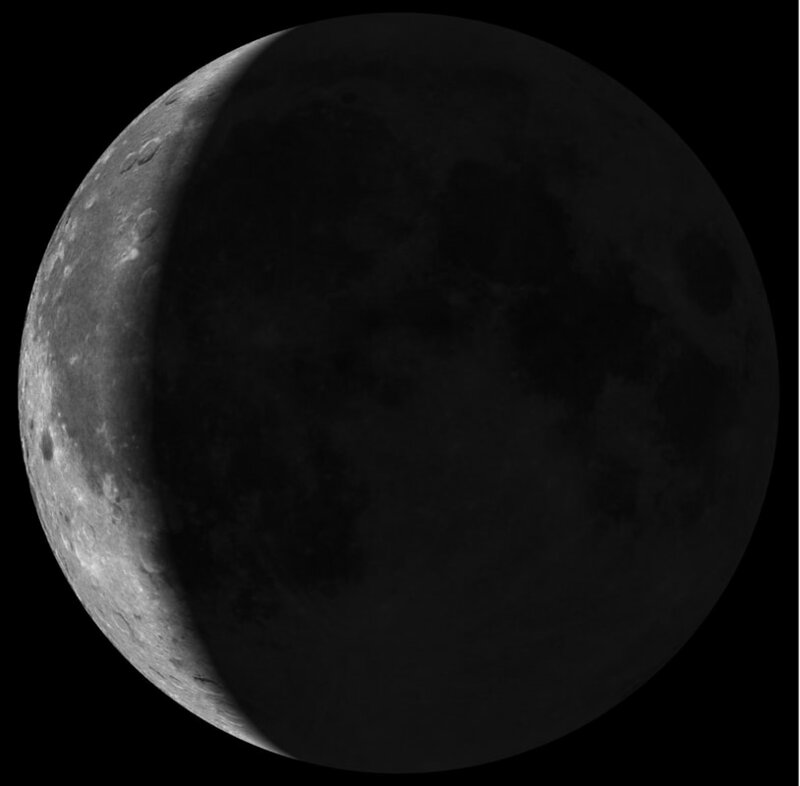 Full Moon + 6: Vipracitta is this evening's Lunar Goddess. She is the Nitya of the subconscious. Tonight's moon brings intense creativity, spiritual renewal, and inspiration. Let the intuitive self take control and release wisdom, intelligence and knowledge to the background. 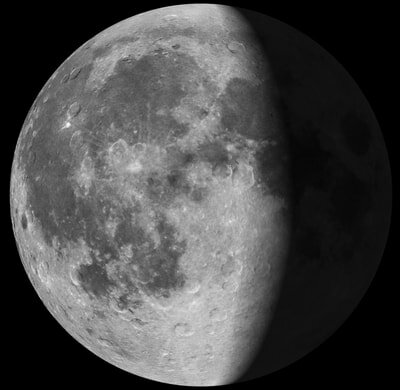 Full Moon + 7: Ugra is this evening's Lunar Goddess. She is the Nitya of Fierceness. Tonight is the night to be fierce and strong. The moon's energy is dark, heavy, aggressive and passionate. Be prepared to be tested and challenged. 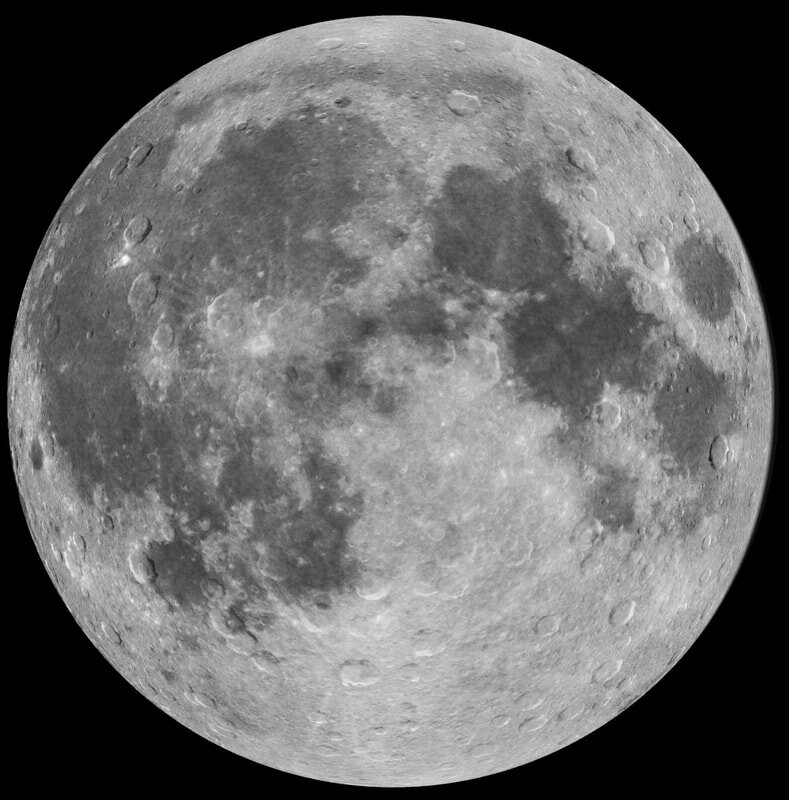 Full Moon + 8: Ugraprabha is this evening's Lunar Goddess. She is the Nitya of Introspection. 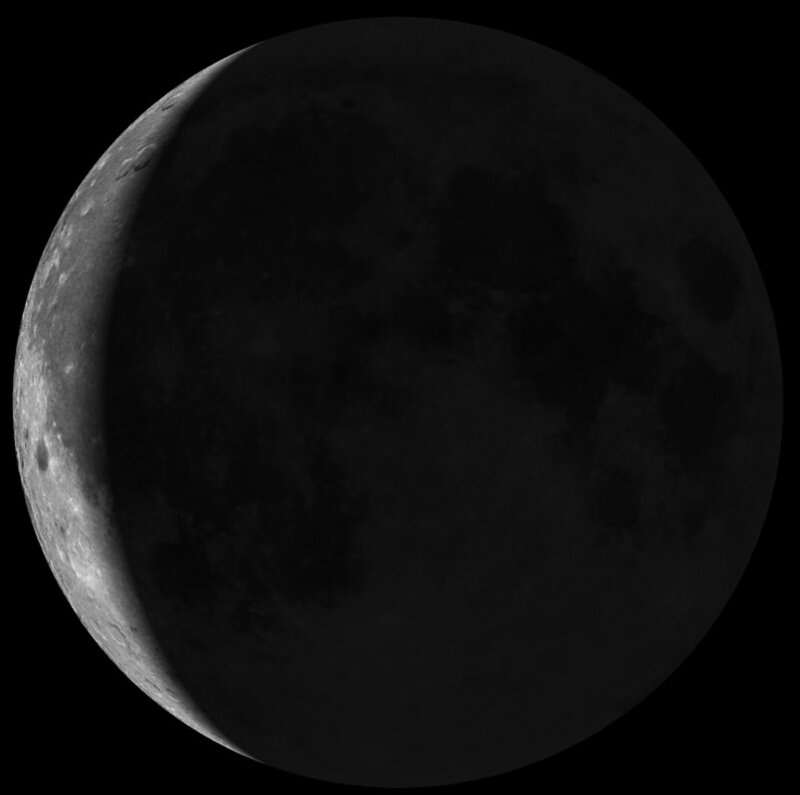 Tonight's moon asks us to carefully examine ourselves. It is a time for self-analysis, reflection, soul-searching and meditation. Investigate personal blocks and internal obstructions. Full Moon + 9: Dipa is this evening's Lunar Goddess. She is the Nitya of Illumination. 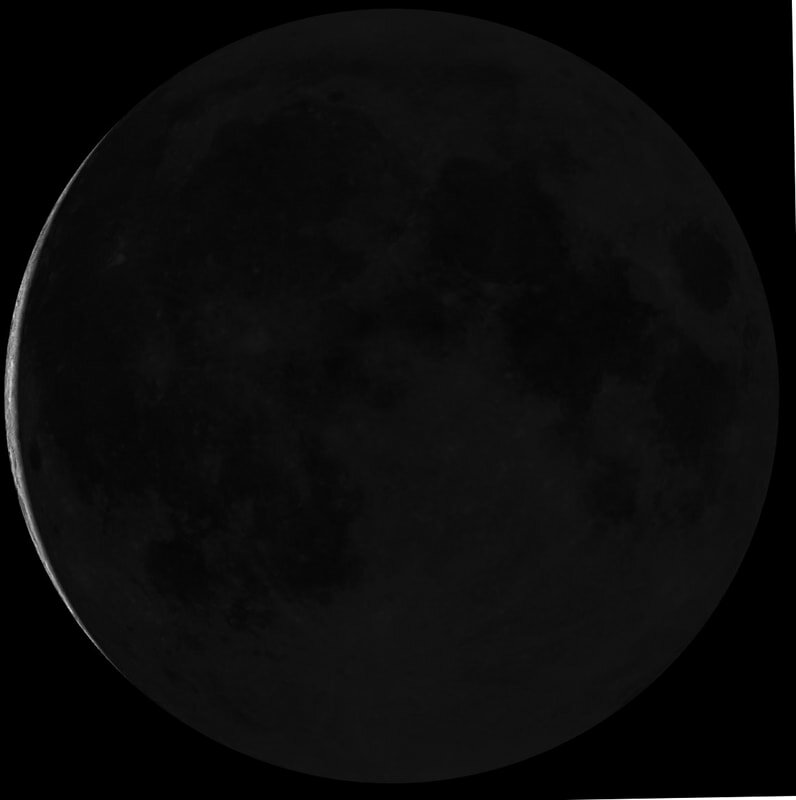 This moon is the time for introspection and self-analysis. Know that all the answers are within you. Use your intuition and clear seeing to solve problems. Release any negativity and hindrances that obscuring your true nature. Full Moon + 10: Nila is this evening's Lunar Goddess. She is the Nitya of Contemplation. Tonight is a night for reflection and focus. Make your actions slow and thoughtful. Avoid rushing around and unnecessary activity. Be careful of negative thoughts and emotions. Full Moon + 11: Ghana is this evening's Lunar Goddess. She is the Nitya of Destruction. This is the time to get rid of anything you are holding on to that is blocking you from moving forward. Terminate habits, ideas, projects, and relationships that no longer serve you. 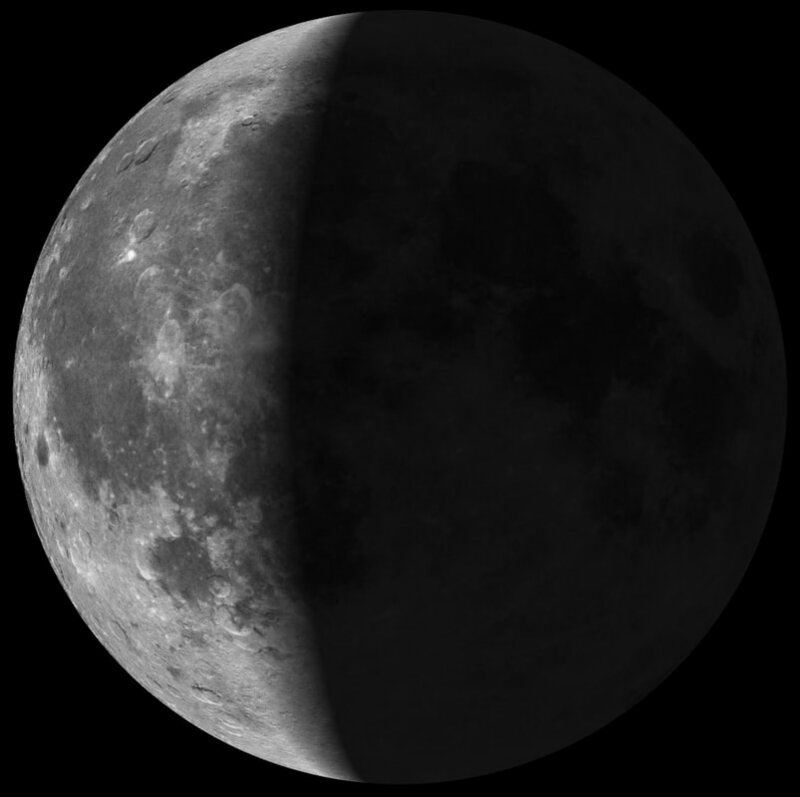 Full Moon + 12: Balaka is this evening's Lunar Goddess. She is the Nitya of Self-Indulgence. Tonight use Balaka’s strength to say "no" to others and take care of yourself. Take time revive, recharge and have fun. Focus on your own health and well-being. Full Moon + 13: Matra is this evening's Lunar Goddess. She is the Nitya Self-Knowledge. Tonight is a night for optimism and positive thinking. Higher truths will be experienced through meditation and exploration of your dream life. Full Moon + 14: Mudra is this evening's Lunar Goddess. She is the Nitya of Expression. This is a night of illusions and temptations. 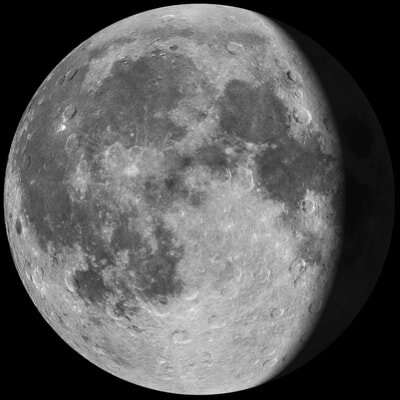 The lunar energy is unfavorable so protect yourself by controlling your thoughts and practicing restraint. Full Moon + 15: Mita is tonight's Lunar Goddess. She is the Nitya of Fearlessness. This is an evening of total surrender and release. Let go of all fears, worries and self-judgment. Become an empty vessel. And remember to play and have fun. The bija mantra KREEM energizes our prana/life force. The chanting of KREEM grants spiritual connection and power. With Kreem we awaken kundalini and open the 3rd eye and thus attain the energy for personal transformation. We connect to Kali's fierce forms as warrior goddess who yields the sword of self-actualization. The bija mantra KLEEM develops our spirituality. It generates energy and links us to the Divine Mother known as Kali. KLEEM increases our consciousness in all of our relationships and integrates them with our overall highest spiritual purpose. Chanting this mantra can reduce negativity, heal illnesses, alleviate depression, removes anxiety, tension and stress, and increase self love. 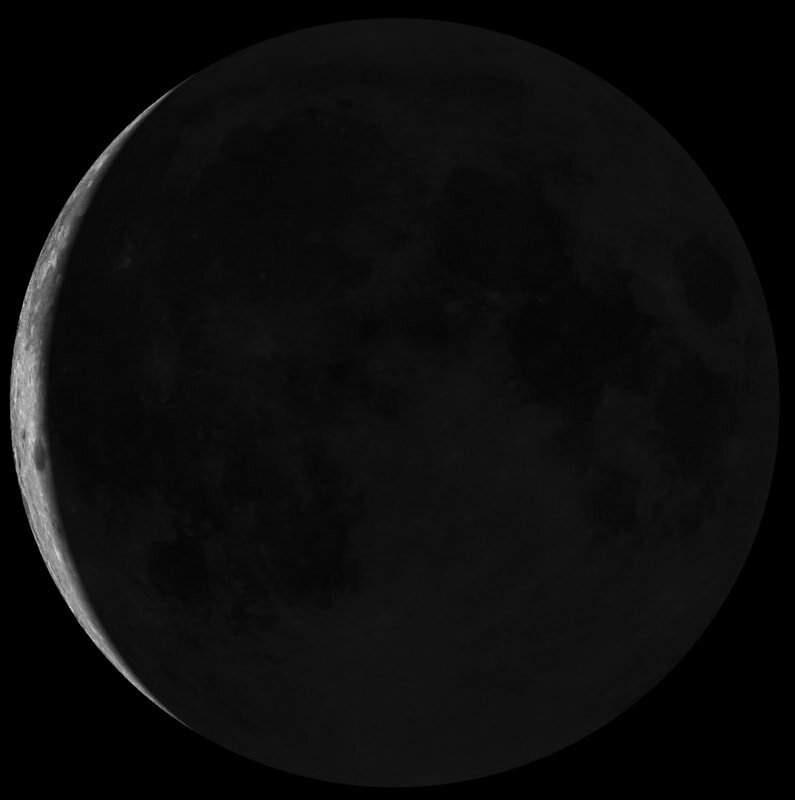 Chant these names the day before the new moon for renewal, rejuvenation and to make peace with the darker sides of yourself. Chanting Kali's 1008 names will remove obstacles and clear the path for the intentions you set on the new moon. 2) Kali: She who is the Remover of Darkness. 3) Bhadrakali : She who is the Excellent Remover of Darkness. 5) Guhyakali : She who is the Hidden or Secretive Remover of Darkness. 6) MahaKali : She who is the Great Remover of Darkness. 7) Kurukullavirodhini : She who confronts the Forces of Duality. 10) Mahakalanitambini : She who is the Eternal Mother of Great Time. 16) Kamaniyasvabhavini : She who is the Intrinsic Nature of that which is desired. 41) Krimkari : She who causes dissolution of the subtle body in to the causal body. 55) Mudramitasita : She Whose positions of Her Limbs are Extremely Elegant. 67) Nrmundasragvini : She Who is Adorned by a Garland. 68) Siva : She Who is the Energy of the Consciousness of Infinite Goodness. 80) Sundanti : She Who has Excellent Teeth. 92) Smitasya : She Whose Face is Always Happy. 95) Kulasresta : She Who is the Excellent of Excellence or of Excellent Family. 109) Mahatkuca : She Who has large breasts. 112) Pretasana : She Who sits with disembodied spirits. 113) Priyapreta : She Who is the Beloved of Disembodied Spirits. 117) Punyada : She Who is the Giver of Merit. 118) Kulapandita : She Who is the One of Excellent Knowledge. 122) Pavini : She Who Blows Like a Fresh Breeze. 124) Pavitra : She Who is pure. 126) Purapunyavibhusana : She Who Illuminated the Fullest Merit. 127) Punyanamni : She Whose Name is Meritorious. 129) Varada : She Who is the Grantor of Boons. 130) Khangapalini : She Who Has the sword of Wisdom in Her Hand. 133) Sunasika : She Who Has an Excellent Organ of Scent. 134) Daksina : She Who looks to the South; She who is the Offering Made in Respect for Guidance. 135) Syamala : She Who has a Dark Complexion. 137) Santa : She Who is Peace. 138) Pinonnatastani : She Who raises the Trident in Her Hands. 139) Digambara : She Who Wears Space. 140) Ghorarava : She Whose sound in terrible. 141) Srkkanta : She Whose beauty creates. 144) Sivasamgi : She who is with Siva. 145) Visamgi : She Who is Without Any other. 146) Madanatura : She Who is the Ultimate intoxication. 147) Matta : She Who is the Great Mind or Thinker. 148) Pramatta : She Who is the Foremost Mind or Thinker. 149) Pramada : She Who is the Giver of Preeminence. 150) Sudhasindhunivasini : She Who Resides in the Ocean of Purity. 154) Gitapriya : She Who is the Beloved of Songs. 156) Pretanrtyaparayana : She Who is the Eternal Dance of Disembodied Spirits. 157) Caturbhuja : She Who Has four Arms. 158) Dasabhuja : She Who Has Ten Arms. 159) Astadasabhuja tatha : She Who Has Eighteen Arms also. 160) Katyayani : She Who is ever pure. 161) Jaganmata : She Who is the Mother of the Perceivable Universe. 162) Jagatam Paramesvari : She Who is the Supreme Ruler of the Perceivable Universe. 163) Jagadhandhuh : She Who is the Friend of the Perceivable Universe. 164) Jagaddhatri : She Who creates the Perceivable Universe. 166) Jagajjivamayi : She Who is the Manifestation of All Life in the Universe. 167) Haimavati : She Who is Born of Himalayas. 168) Maya : She Who is the Great Measurement of Consciousness. 169) Mahamahi : She Who is the Great expression. 170) Nagayajnopavitangi : She Who is the Sacred thread on the body of the snake, the adornment of Kundalini. 171) Nagini : She who is the snake. 172) Nagasayini : She who rests on snakes. 173) Nagakanya : She Who is the daughter of the snake. 174) Devakanya : She Who is the Daugther of the Gods. 175) Gandharvi ; She Who sings Celestial divine tunes. 176) Kinnaresvari : She Who is the Supreme Ruler of Heavenly Beings. 177) Moharatrih : She Who is the Night of ignorance. 178) Maharatrih : She Who is the Great Nights. 180) Bhasvarasuri : She Whose Radiancee Destroys Duality. 182) Vasumati : She Who has Wealth. 183) Yaksini : She Who Gives Wealth. 184) Yogini : She Who is Always in Union. 186) Raksasi : She Who is the Mother of all Demons. 187) Dakini : She Who is the Female Demonic Being. 188) Vedamayi : She Who is the Expression of Wisdom. 189) Vedavibhusana : She Who illuminated wisdom. 190) Srutih : She Who is That Which has been heard. 191) Smrtih : She Who is That which is remembered. 192) Mahavidya : She Who is Great Knowledge. 195) Cintya : She Who is Thought. 196) Acintya : She Who is unthinkable. 198) Svaha : She Who is Oblations of I am one with God. 199) Nidra : She Who is sleep. 200) Tandra ca : She Who is partially awake. 202) Aparna : She Who is Without parts. 203) Niscala : She Who cannot be divided. 204) Lola : She Who has a Protruding Tongue. 205) Sarvadidya : She Who is All Knowledge. 206) Tapasvini : She Who is the Performer of Purifying Austeritites. 207) Gamga : She Who is the Holy river. 208) Kasi : She Who is the Benaras. 209) Saci : She Who is the Wife of Indra. 210) Sita : She Who is the wife of Rama. 212) Satyaparayana : She Who always Moves in truth. 214) Sunitih : She Who is Excellent Systematized knowledge. 215) Surucih : She Who is Excellent Taste. 217) Pustih : She Who is Nourishment. 218) Dhrtih : She Who is consistent solidity. 220) Vani : She Who is words. 221) Buddhih : She Who is intelligence. 222) Mahalaksmih : She Who is the Great Goal of Existence. 223) Laksmih : She Who is the Goal. 224) Nilasarasvati : She Who is the Blue Goddess of Knowledge. 225) Srotasvati : She Who is the Spirit of All Sounds. 226) Sarasvati : She Who is the personification of One’s own Ocean of Existence. 227) Matamgi ; She Who is the Mother of All Bodies. 228) Vijaya : She Who is conquest. 229) Jaya : She Who is Victory. 230) Nadi sindhuh : She Who is Rivers and Oceans. 231) Sarvamayi : She Who is the expressions of All. 232) Tara : She Who is the Illuminator. 233) Sunyanivasini : She Who Resides in Silencee. 234) Suddha : She Who is Purity. 235) Tarangini : She Who makes Waves. 236) Medha : She Who is the Intellect of Love. 237) Lakini : She Who is Manifesed Energies. 238) Bahurupini : She Who has many forms. 239) Sthula : She Who is the Gross Body. 240) Suksma : She Who is Subtle. 241) Suksmatara : She Who is the Subtle Wave. 242) Bhagavati : She Who is the Female Ruler of all. 243) Anuragini : She Who is the feeling of emotions. 244) Paramanandarupa ca : She Who is the Form of Supreme Bliss. 245) Cidanandasvarupini : She Who is the Intrinsic Nature of the Bliss of Consciousness. 248) Sarvanandasvarupini : She Who is the Intrinsic Natura of All Bliss. 249) Subhada : She Who is Giver of Purity. 251) Stutya : She Who is praise. 252) Stavaniyasvabhavani : She Who is the Intrinsic Nature of Songs of Prayers. 254) Bhamkini : She Who is Ferocious. 255) Citra : She Who is Artistic. 256) Vicitra : She Who has Various Artistic capacities. 257) Citrarupini : She Who is the Form of all art. 258) Padma : She Who is the Lotus. 259) Padmalaya : She Who Resides in a Lotus. 260) Padamukhi : She Who has Lotus Mouth. 261) Padmavibhusana : She Who shines like a Lotus. 267) Bhrantih : She Who is Confusion. 269) Rudrani : She Who is the Energy that removes sufferings. 271) Satrumardini : She Who is the destroyer of All Enmity. 272) Upendrani : She Who is the Highest Energy of the Ruler of the Pure. 273) Mahendrani : She Who is the Great Energy of the Ruler of the Pure. 274) Jyotsna : She Who radiates Light. 275) Candrasvrupini : She Who is the Intrinsic Nature of the Moon of Devotions. 276) Suryarmika : She Who is the Soul of the Light of Wisdom. 278) Raudri : She Who is Fierce. 279) Stri Prakrtih : She Who is the Woman of Nature or the Nature of Women. 280) Puman : She Who is Masculin. 282) Suktih : She Who is Happiness. 283) Matih : She Who is the Mind. 284) Mata : She Who is the Mother. 285) Bhuktih : She Who is Enjoyment. 286) Muktih : She Who is Liberation. 287) Pativrata : She Who Observes the Vows of Devotion to her Husband. 288) Sarvesvari : She Who is the Supreme Ruler of All. 289) Sarvamata : She Who is Mother of All. 290) Sarvani : She Who Dwells in All. 291) Haravallabha : She Who is Siva’s Strength. 292) Sarvajna : She Who is Knower of All. 293) Siddhida : She Who is Giver of the Attainment of Perfection. 294) Siddha : She Who has Attained Perfection. 295) Bhavya : She Who is Existence. 296) Bhavya : She Who is All Attitudes. 297) Bhayapaha : She Who is Beyond all Fear. 298) Kartri : She Who Creates. 299) Hartri : She Who Transforms or Destroys. 303) Daya : She Who is Compassionate. 304) Tamisra : She Who mixes or Mingles. 305) Tamasi : She who Manifest Darkness. 309) Tapasvini : She Who performs Austerities. 310) Carvangi : She Whose Body is in Motion. 311) Cancala : She Who is restless. 312) Lolajihva : She Who has a Protruding Tongue. 313) Carucaritrini : She Whose Character is to Heal. 314) Trapa : She Who saves from Fear. 315) Trapavati : She Whose Spirits saves from Fear. 316) Lajja : She Who is Modesty. 317) Vilajja : She Who is without Modesty. 318) Hrih : She who is Humble. 319) Rajovati : She Who is the Repository of Rajas Guna. 321) Dharmanistha : She Who is the Strict Observances of the Ideals of Perfection. 322) Srestha : She Who is Ultimate. 323) Nisthuranadini : She Whose Vibration is Extremely Subtle. 324) Garistha : She Who is Always Happy to See Her Devotees. 325) Dustasamhartri : She Who Dissolves All Evil. 326) Visista : She Who is Especially Beloved. 327) Sreyasi : She Who is the Ultimate. 328) Ghrna : She Who is Hatred. 329) Bhima : She Who is Terribly Fierce. 330) Bhayanaka : She Who is Extremely Fearful. 332) Bhih : She Who is Fierce. 333) Prabhavati : She Who is the Spirit of Illumination. 334) Vagisvari : She Who is the Supreme Ruler of All Vibrations. 336) Yamuna : She Who Manifests complete control. 337) Yajnakartri : She Who is the Performer of Union or Sacrifice. 338) Yajuhpriya : She Who is the Beloved of Union or Lover of Yajur Veda. 342) Kalakanthi : She Who Has a dark throat. 343) Kambukanthi : She Whose Neck has Lines like a Conch Shell. 344) Venuvinaparayana : She Who is Always Playing the Vina Instruments. 346) Vaisnavi : She Who Pervades the Universe. 347) Svaccha : She Who Desires Herself. 348) Dharitri : She Who Holds the Three. 349) Jagadisvari : She Who is the Supreme Ruler of the Perceivable Universe. 350) Madhumati : She Who is the Nectar of Honey. 351) Kundalini : She Who is the Manifestation of Individual Energy. 352) Rddhih : She Who is Prosperity. 353) Siddhih : She Who is the Attainment of Perfection. 354) Sucismita : She Who is the Remembrance of the Pure. 355) Rambhorvasi : She Who is the Apsaras Rambha and Urvasi. 356) Rati Rama : She Who is Extremely Beautiful. 357) Rohini : She Who is the Luminous Light of The Heavens. 358) Sankhini : She Who Holds a Conch Shell. 359) Magha : She Who is Infinite Wealth. 360) Revati : She Who is Abundance. 361) Cakrini : She Who Holds a discuss. 362) Krsna : She Who is Dark, She Who is the performer of All Actions. 363) Gadini : She Who holds a Club. 364) Padmini Tatha : She Who is a Lotus then. 365) Sulini : She Who Holds a Spear. 367) Pasini : She Who Holds the Net. 368) Samgapanini: She Who Holds the Bow named samga in Her Hands. 369) Pinakadharini : She Who Holds the Spear. 370) Dhumra : She Who Obscures Perceptions. 371) Sarabhi : She Whose Strength is Greater than Lions or Elephants. 372) Vanamalini : She Who is the Gardener of the Forest. 373) Rathini : She Who Conveys All. 374) Samaraprita : She Who Loves the Battle. 375) Vegini : She Who is Swift. 376) Ranapandita : She Who is Expert in War. 377) Jatini : She Who Has disheveled Hair. 378) Vajrini : She Who holds the Thunderbolt or Lightening. 379) Lila : She Who is the Divine Drama. 380) Iavanyambudhicandrika : She Whose Beauty Radiated the Light of Knowledge. 381) Balipriya : She Who is the Beloved of Sacrifice. 382) Sadapujya : She Who is Worthy of Worship. 383) Purna : She Who is Full, Complete, Perfect. 384) Daityendramathini : She Who is Welcomed by the Leader of All Asuras. 385) Mahisasurasamhartri : She Who is Destroyer of the Great Ruler of Duality. 386) Kamini : She Who is All Desires. 387) Raktadantika : She Who Has Red Teeth. 389) Rudhiraktangi : She Whose Body is Covered with Passion. 390) Raktakharparahastini : She Who Bears a Cup of Passion in Her Hands. 391) Raktapriya : She Whose Loves, or is the Beloved of Passion. 392) Mamsarucirasavasaktamanasa : She Who Delights in Eating Meat and Drinking Intoxicating Spirits. 393) Galacchonitamundali : She Who Wears a Garland of Heads Dripping Blood. 394) Kanthamalavibhusana : She Who Wears a Garland Upon Her Neck. 395) Savasana : She Who sits upon a Corpse. 396) Citantahstha : She Who is Established in the Ultimate Consciousness. 397) Mahesi : She Who is the Greatest Seer of ALL. 398) Vrsavahini : She Who Rides Upon the Bull of Determination. 399) Vyaghratvagambara : She Who Wears a Garment of Tiger Skin. 400) Cinacailini : She Who Moves with the Speed of a Deer. 401) Simhavahini : She Who Rides Upon a Lion. 402) Vamadevi : She Who is the Beloved Goddess. 403) Mahadevi : She Who is a Great Goddess. 404) gauri : She Who is Rays of Light. 405) Sarvajnabhamini : She Who Illuminates All Wisdom. 406) Balika : She Who is a Young Girl. 409) Vrddhamata : She Who is the Mother of the Aged. 410) Jaratura : She Who is Beyond Age. 411) Subhruh : She Who Has an Excellent Forehead. 412) Vilasini : She Who resides Within Herself. 413) Brahmavadini : She Who is the Vibration of Supreme Diety. 414) Brahmani : She Who Creates Divinity. 415) Mahi : She Who is Earth. 416) Svapnavati : She Who is the Spirit of Dreams. 417) Citralekha : She Who is Various Writings. 418) Lopamudra : She Who is the Manifestation of The Which Is Beyond Manifested Existence. 419) Suresvari : She Who is the Supreme Ruler of All Divinity. 420) Amogha : She Who is Always Rewarding. 421) Arundhati : She Who is the Purity of Devotion, Epitome of Commitment. 422) Tiksna : She Who is Sharp. 423) Bhogavati : She Who is the Spirit of All Enjoyment. 424) Anuragini : She Who is the Spirits of All Feelings. 425) Mandakini : She Who Organizes the Mind to Optimum Efficiency. 426) Mandahasa : She Whose Mind Always Laughs. 427) Jvalamukhi : She Whose Face Radiates. 428) Asurantaka : She Who is the Cause of the End of the Forces of Duality. 429) Manada : She Who is the Giver of Discipline. 430) Manini : She Who Creates Discipline. 432) Mananiya : She Who is the Supreme Lord of Discipline. 434) Madira Meduronmada : She Who is Intoxicated with Divine Spirit. 435) Medhya : She Who is Born of Intellect. 436) Sadhya : She Who is the Performer of All Discipline. 437) Prasadini : She Who is the Prasada or Consecration of Offerings. 438) Sumadhyanantagunini : She Who Resides in the Middle of Infinite Excellent Qualities. 439) Sarvalokottamottama : All the Beings of All the Worlds Consider Her to be Greater then the Greatest. 440) Jayada : She Who is the Giver of Victory. 441) Jitvara : She Who Grants the Boon of Victory. 442) Jetri : She Who is Victorious Over the Three. 443) Jayasrih : She Who is Victorious with Respect. 444) Jayasalini : She Who is the Repository of Victory. 445) Subhada : She Who is the Giver of Purity. 446) Sukhada : She Who is the Giver of Happiness or Comfort. 447) Satya : She Who is the Manifestation of Truth. 448) Sabhasamksobhakarini : She Who is the Cause of Purity for the Entiry Community. 449) Sivaduti : She For Whom Siva is the Ambassador. 450) Bhutimati : She Who is the Expression of All Manifested Existence. 452) Bhisananana : She Whose Face is Free from Fear. 453) Kaumari : She Who is the Manifestation of the Ever Pure One. 454) Kulaja : She Who is the Giver of Birth to the Family. 455) Kunti : She Who takes Away the Deficiency of Others. 456) Kulastri : She Who is the Woman of the Family. 457) Kulapalika : She Who is the Protector of the Family. 458) Kirttih : She Who is Fame. 459) Yasasvini : She Who is Welfare. 460) Bhusa : She Who is the Peace of All Beings. 461) Bhustha : She Who is the Cause of Peace to All Beings. 462) Bhutapatipriya : She Who is Loved by the Lord of All Disembodies Spirits. 463) Saguna : She Who is With Qualities. 464) Nirguna : She Who is Without Qualities. 465) Trsna : She Who is All Thirst. 466) Nistha : She Who Obeys All the Rules. 467) Kastha : She Who is the Cause of Desire. 468) Pratisthita : She Who Establishes. 469) Dhanistha : She Who is the Beloved Wealth. 470) Dhanada : She Who is the Giver of Wealth. 471) Dhanya : She Who is Wealthy. 472) Vasudha : She Who Supports the Earth. 473) Suprakasini : She Who is Excellent Illumination. 474) Urvi : She Who is the Supreme Lord of Circumstances. 475) Gurvi : She Who is the Supreme Lord of Gurus. 476) Gurusrestha : She Who is the Ultimate Guru. 477) Sadguna : She Who is With Qualities of Truth. 478) Trigunatmika : She Who is the Manifestation of the Soul of the Three Qualities. 479) Rajnamajna : She Who is the Wisdom of the Order of the King. 481) Saguna : She Who is With Qualities. 482) Nirgunatmika : She Who is the Manifestation of the Soul of the Three Qualities. 483) Mahakulina : She Who is the Mother of all the Great Family. 484) Niskama : She Who is Without Desire. 486) Kamajivani : She Who is the Life of Desire. 487) Kamadevakala : She Who is the Attributes of the Lord of Desire. 488) Ramabhirama : She Who is the Energy of Perfection in the Subtle Body. 489) Sivanartaki : She Who Dances with Siva. 490) Cinttamanih : She Who is the Jewel of All Thought. 491) Kalpalata : She Who clings to Thought. 492) Jagrati : She Who wakes UP the Universe. 493) Dinavatsala : She Who is the Refuge of the Downtrodden. 494) Karttiki : She Who is the Expression of All That is Done. 495) Krtika : She Who is the Doer or the Cause of All Doing. 496) Krtya : She Who is That Which is Done. 497) Ayodhya Visamasama : She Who is the Same as the Place Where there is no War. 498) Sumantra : She Who is the Excellent Mantra Which Takes Away the Mind. 499) Mantrini : She Who is the Energy of All Mantras. 500) Purna : She Who is Perfect. 501) Hladini : She who is always happy. 503) Trailokyajanani : She Who is the Mother of all the Three Worlds. 504) Jyestha : She Who is Oldest. 509) Trailokyapavanaksama : She Who Brings the Winds of Forgiveness to the Three Worlds. 511) Sarabhi bhimanadini : She Whose Sound is Extremely Loud. 512) Ksemankari : She Who is the Welfare of All. 513) Sankari ca : She Who is the Cause of Peace . 514) Sarvasammohakarini : She Who is Ignorance of All. 515) Urdhvatejasvini : She Who is the Rising Light of All. 516) Klinna : She Whose Heart is very Soft. 518) Advaitabhogini : She Who Enjoys Non Duality. 520) Yuvati : She Who is Young. 521) Sarvamangala : She Who is all welfare. 522) Sarvapriyankari : She Who is the cause of All Love. 523) Bhogya : She Who is Enjoyed. 524) Dharani : She Who Supports All. 525) Pisitasana : She Who sites upon a Deer. 527) Papahara : She Who takes Away All sins. 528) Niskalamka : She Who is without Fault. 529) vasamkari : She Who controls. 530) Asa : She who is Hope. 531) Trsna : She Who is Thirst. 532) Candrakala : She Who is the Digit of the Moon, Attribute of Devotion. 533) Indrani : She Who is the Energy of the Ruler of the Pure. 534) Vayuvegini : She Who Moves With the Freedom of Emancipation. 536) Candrakotisamaprabha : She Whose Illlumination is like Ten Million Moons. 537) Nisumbhasumbhasamhantri : She Who Dissolves Self-Deprecation and Self-Conceit. 538) Raktabijavinasini : She Who is the Destroyer of the Seed of Desire. 539) Madhukaitabhahantri ca : She Who Dissolves Too Much and Too Little. 540) Mahisasuraghatini : She Who is the Destroyer of the Great Ego. 541) Vahnimandalamadhyastha : She Who is Situated in the Middle of the Circle of Fire. 542) Sarvasattvapratisthita : She who Established All Truth. 543) Sarvacaravati : She Who is the Spirit of All that Does Not Move. 544) Sarvadevakanyadhidevata : She Who is the Supreme Goddess of All Divine Females. 545) Daksakanya : She Who is the Daughter of Ability. 546) Daksayajnanasini : She Who is the Destroyer of the sacrifice of Ability. 547) Durgatarini : She Who is the Reliever of Difficulties, Who Takes Us Across the Ocean of Objects and Relationships. 548) Ijya : She Who is Desired. 549) Pujya : She Who is Worthy of Worship. 550) Satkirttih : She Who is True Fame. 551) Brahmarupini : She Who Has the Capacity of Form of Supreme Divinity. 552) Vibhirbhutih : She Who Manifests the Greatest Fears. 553) Rambhotuh : She Who is the Beautiful One Residing in the Thights. 554) Caturakara : She Who Manifests the Four of Creation. 555) Jayanti : She Who is Victory. 558) Manasvini : She Who Reflects Mind. 560) Yasasya : She Who is Worthy of Welfare. 561) Brahmacarini : She Who Moves in the Supreme Consciousness. 562) Siddhida : She Who is the Giver of Perfection. 563) Vrddhida : She Who is the Giver of Change or Modification. 565) Sarvadya : She Who is Foremost of All; She Who is Before All. 566) Sarvadayini : She Who is the Giver of All. 567) Agadharupini : She Who is the Intrinsic Nature of That Which Does not End. 568) Dhyeya : She Who is Meditated Upon. 569) Muladharanivasini : She Who Resides in the Muladhara Cakra. 570) Ajna : She Who Orders Creation. 571) Prajna : She Who is Primordial Wisdom. 572) Purnamanah : She Who is Full and Complete. 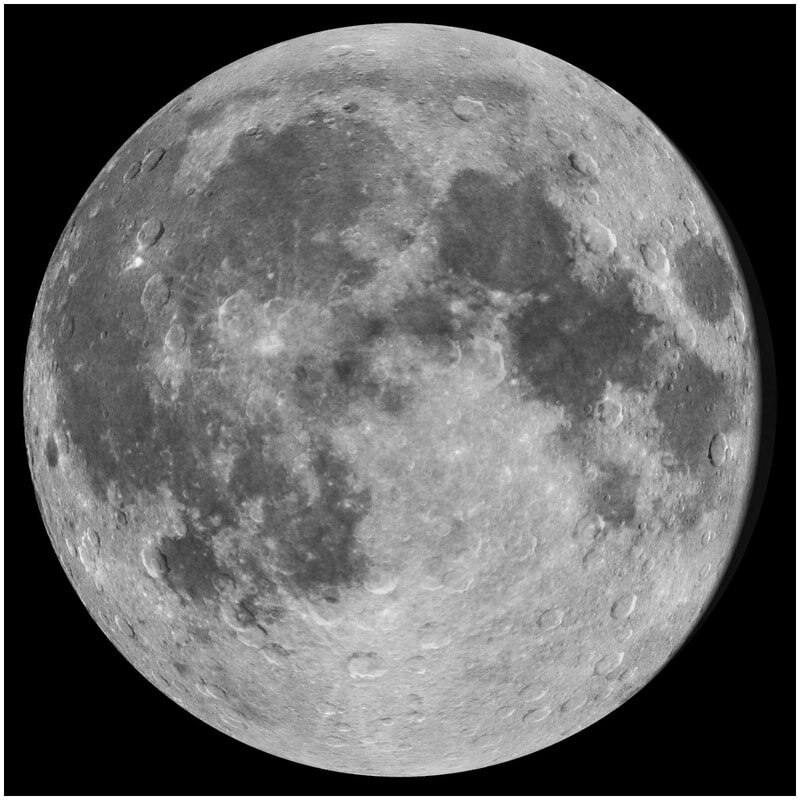 573) Candramukhyanukulini : She Who is the Complete Collection of the face of the Moon. 574) Vavaduka : She Who Charms Everyone with Her Speech. 575) Nimnanabhih : She Whose Navel is Indented. 576) Satyasandha : She Who Has Found Turth. 577) Drdhavrata : She Who is Determined in Her Vow. 578) Anvisiki : She Who Embodies All Spiritual Knowledge. 579) Dandaniti : She Who is the Punishment by Which Discipline is Prescribed. 580) Trayi : She Who is Three. 581) Tridivasundari : She Who is the Beauty of the Three divinities. 582) Jvalini : She Who Burns. 583) Jvalini : She Who Causes to Burn. 584) Sailatanaya : She Who is the Daughter of the Mountain. 585) Vindhyavasini : She Who resides in Mountains of Knowledge that Breed Humility. 586) Pratyaya : She Who Sees All Concepts. 587) Khecari : She Whose Spirit Soars. 588) Dhairya : She Who is Determination. 589) Turiya : She Who is Beyond. 590) Vimalatura : She Who is the Highest Expression of Purity. 591) Pragalbha : She Who is Confident. 593) Sasini : She Who is the Radiancec of the Moon. 594) Visphulingini : She Who has Subtle Radiance. 595) Bhaktih : She Who is Devotion. 596) Siddhih : She Who is Perfection. 597) Sadapritih : She Who is Always Beloved. 598) Prakamya : She Who is the Foremost of All Desires. 599) Mahimanima : She Who is the Mother Who is the Jewel of the Earth. 600) Icchasiddhih : She Who is the Perfection of All Desires. 602) Isitvordhvanivasini : She Who Resides Above All that is desired. 604) Gayatri : She Who is the Wisdom of the Three. 605) Savitri : She Who is the Illuminator of the Three. 606) Bhuvanesvari : She Who is the Supreme Ruler of Manifested Existence. 607) Manohara : She Who Takes Away Thoughts. 608) Cita ; She Who is Consciousness. 609) Divya : She Who is Divine. 610) Devyudara : She Who holds Aloft All Goddesses. 611) Manorama : She Who Esemplifies Beauty of the Mind. 612) Pingala : She Who is a Subtle Avenue by Which Energy Flows. 613) Kapila : She Who is like a Cow, a giver of Pure Nourishment. 614) Jihvarasajna : She Who Has the Nectar of Wisdom on Her Tongue. 615) Rasika : She Who is All Nectar. 616) Rama : She Whe is Beauty. 617) Susumnedayogavati : She Who is the Spirit of Union Within the Susumna. 618) Gandhari : She Who Wears an Excellent Scent. 619) narakantaka : She Who is the End of All Hell. 620) Pancali : She Who Belongs to the Five. 621) Rukmini : She Who is the Jewel of All Circumstances. 622) Radha : She Who is the Beloved of Krsna. 623) Radhya : She Who causes Consciousness in the Subtle Body. 624) Bhama : She Who is the Mother of Illumination. 625) Radhika : She Who is the Beloved of Krsna: She Who is the Cause of Illumination of Consciousness in the Subtle Body. 626) Amrta : She Who is the Nectar of Immortality. 627) Tulasi : She Who is the Basil Plant. 628) Vrnda : She Who is the Giver of Changes. 629) Kaitabhi : She Who Constricts. 630) Kapatesvari : She Who is the Supreme Ruler of All Fraudulent Beings. 631) Ugracandesvari : She Who is the Ruler of Fearful Passion. 632) Virajanani : She Who is the Mother of All Heroes and Warriors. 633) Virasundari : She Who is the Beautiful of All Warriors. 634) UgraTara : She Whose Illumination is Fearful. 635) Yasodakhya : She Who is the Light in the Eyes of Yasoda. 636) Devaki : She Who is the Mother of Krsna: She Who caused Divinity to Manifest. 637) Devamanita : She Who is obeyed by the Gods. 638) Niramjana Cite : She Who is Formless Consciousness. 639) Devi : She Who is the Goddess. 640) Krodhini : She Who is Angry. 641) Kuladipika : She Who is the Light of Excellence. 642) Kulavagisvari : She Who is the Supreme Ruler of Vibrations of Excellence. 643) Jvala : She Who Radiates. 644) Matrka : She Who is the Mother in the Form of Letters. 645) Dravani : She Who Manifests What you Value. 646) Drava : She Who is What you Value. 647) Yogesvari : She Who is the Supreme Ruler of Union. 648) Mahamari : She Who is the Great Destroyer. 649) Bhramari : She Who Comes in the Form of a Bee. 650) Bindurupini : She Who is the Intrinsic Nature of the Form of Knowledge. 652) Pranesvari : She Who is the Supreme Ruler of Life. 654) Bahula : She Who is Everywhere. 656) Prabha : She Who is Radiant Light. 657) Kubjika : She Who is Hunchbacked or Crippled. 658) Jnanini : She Who Manifests Wisdom. 659) Jyestha : She Who is Oldest. 660) Bhusundi : She Who Holds the Sling. 661) Prakatakrtih : She Who Manifests Without doing. 662) Dravini : She Who Manifests Wealth. 663) Gopini : She Who is Secretive. 664) Maya : She Who is the Supreme Measurement of Consciousness. 665) Kamabijesvari : She Who is the Supreme Ruler of the seed of Desire. 667) Sakambhari : She Who Nourishes With Vegetables. 668) Kukanada : She Who Engenders the Seed. 669) Susila : She Who is Consistently Excellent. 670) Tilottama : She Who is Excellently Pure. 671) Ameyavikramakrura : She Who Manifests Unsurpassed Grace. 672) Sampacchilativikrama : She Who is Spinning in the Attachment for the lost of Wealth. 673) Svastihavyavaha : She Who is the Conveyance for the offerings of Blessings. 674) Priti : She Who is the Beloved. 675) Usma : She Who is the Mother of Circumstances. 676) Dhumrarcirangada : She Who Makes the Body Free From Sin. 677) Tapini : She Who is Heat and Light. 678) Tapini : She Who is the cause of Heat and Light. 679) Visva : She Who is the Universe. 680) Bhogada : She Who is the Giver of enjoyment. 681) Bhogadharini : She Who is the Supporter of Enjoyment. 682) Trikhanda : She Who has Three Parts. 683) Bodhini : She Who Manifests Wisdom. 684) Vasya : She Who is Controlled. 685) Sakala : She Who is All. 686) Visvarupini : She Who is the Intrinsic Nature of the Universe. 687) Bijarupa : She Who is the Form of the Seed. 688) Mahamudra : She Who is the Great Configuration of the Cosmos. 689) Vasini : She Who Controls. 690) Yogarupini : She Who is the Intrinsic Nature of Union. 691) Anangakusuma : She Wh ois the Flower of Infinity. 692) Anangamekhala : She Who wears the Girdle of Infinity. 693) Anangarupini : She Who is the Intrinsic Nature of Infinity. 694) Anangamadana : She Who is the Intoxication of Infinity. 695) Anangarekha : She Who is the Limit of Infinity. 696) Anangankusesvari : She Who is the Supreme Ruler of the Goad of Infinity. 697) Anangamalini : She Who is the Garderner Who Cultivated Infinity. 698) Kamesvari : She Who is the Supreme Ruler of All Desires. 699) Sarvarthasadhika : She Who Performs discipline for all objectives. 700) Sarvatamtramayi : She Who is the Expression of All Applications of Spiritual Knowledge. 705) Sadangayuvati : She Who is a Young Lady with Six Limbs. 706) Yogayukta : She Who is United in Union. 707) Jvalamsumalini : She Who is the Cultivator of Radiance. 709) Duradharsa : She Who is a Difficult Ideal to Attain. 710) Durjneya : She Who Gives Knowledge that is Difficult to attain. 711) Durgarupini : She Who is the Intrinsic Nature of the Reliever of Difficulties. 712) Duranta : She Who is the End of Distance. 713) Duskrtihara : She Who Takes Away Evil Action. 714) Durdhyeya : She Who is Knowledge that is Difficult to Attain. 715) Duratikrama : She Who is the Mother of All Difficult Action. 716) Hamsesvari : She Who is the Supreme Ruler of Laughter. 717) Trikonastha : She Who Resides in a Triangle. 718) Sakambharyanukampini : She Who is the Feeling of Nourishment from Vegetables and Produce of the Earth. 719) Trijonamilaya : She Who Resides Beyond the Triangle. 720) Nitya : She Who is Eternal. 721) Paramamrtaramjita : She Who is the Enjoyment of the Supreme Nectar of Immortality. 722) Mahavidyesvari ; She Who is the Supreme Ruler of The Great Knowledge. 723) Sveta : She Who is White or Pure. 724) Bherunda : She Who is Formidable. 725) Kulasundari : She Who is the Beauty of Excellence. 726) Tvarita : She Who is Quick. 727) Bhaktisamyukta : She Who is Completely United in Devotion. 728) Bhativasya : She Who is Under the Control of Devotion. 730) Bhaktanandamayi : She Who is the Manifestation of the Bliss of Devotion. 731) Bhaktabhavita : She Who is the Attitude of Devotion. 732) Bhaktasankari : She Who is the cause of the Peace of Devotion. 733) Sarvasundaryanilaya : She Who is the Repository of all Beauty. 734) Sarvasaubhagyasalini : She Who is the Repository of all Good Fortune. 735) Sarvasambhogabhavani : She Who is the Mother of all Enjoyment. 736) Sarvasaukhyanurupini : She Who is the Intrinic Nature of the Feeling of All Comforts. 737) Kumaripujanarata : She Who enjoys the Worship of the Ever Pure One. 738) Kumarivratacarini : She Who continues the Performance of the Vow of Worship for the ever pure one. 739) Kumari : She Who is the ever pure one. 740) Bhaktisukhini : She Who Gives the Pleasure of Devotion. 741) Kumarirupadharini : She Who wears the Form of The Every Pure one. 742) Kumaripujakaprita : She Who Loves the Worship of the Every pure one. 743) Kumaripritidapriya : She Who is the beloved of the Beloved of the ever pure one. 744) Kumarisevakasamga : She Who is United in the Service of the Ever Pure One. 745) Kumarisevakalaya : She Who Resides Within Those Who Serve the Ever Pure One. 746) Anandabhairavi : She Who is the Bliss Beyond All Fear. 747) BalaBhairavi : She Who is the Strength Beyond All Fear. 748) Batubhairavi : She Who is Youth Beyond All fear. 749) Smasanabhairavi : She Who is in the Cremation Ground Where All fears Ends. 750) Kalabhairavi : She Who is Time Beyond All Fear. 751) Purabhairavi : She Who is in the Cremation Ground Where All Fear Ends. 752) Mahabhairavapatni : She Who is the Spouse of the Great One Beyond All Fears. 759) Amrtanandabhairavi : She Who is the Nectar of Immortality Beyond All Fear. 761) Tivra : She Who is Very Swift. 764) Tripura : She Who is the Resident of the Three Cities. 765) Paramesani : She Who is the Supreme ruler of All. 766) Sundari : She Who is the Beautiful One. 767) Purasundari : She Who is Completely Beautiful. 768) Tripuresvari : She Who is the Supreme ruler of the Three Cities. 769) Pancadasi : She Who is the Fifteen Lettered One. 770) Pancami : She Who is the Fifth. 771) Puravasini : She Who is the Resident of the City. 773) Sodasi : She Who is the Sixteen. 774) Tripuresvari : She Who is the Supreme Ruler of the Three Cities. 775) Mahamkusasvarupa : She Who is the Intrinsic Nature of the Great Goad. 776) Mahacakresvari Tatha : She Who is the Supreme Ruler of the Great Centers of Energy. 777) Navacakresvari : She Who is the Supreme Ruler of the Nine Centers. 778) Cakresvari : She Who is the Supreme Ruler of the Centers of the Energy. 779) Tripuramalini : She Who is the Gardener of the Three Cities. 780) Rajacakresvari : She Who is the Supreme Ruler of the Kings of All Centers of Energy. 781) Vira : She Who is the Female Hero. 782) Mahatripurasundari : She Who is the great Beautiful One of the Three Cities. 783) Sindurappurarucira : She Who is Completely Delighted with the Red Spot of Vermilion. 784) Srimattripurasundari : She Who is the Respected Beautiful One of the Three Cities. 785) Savangasundari : She Whose All Limbs are Beautiful. 786) Rakta : She Who is Passion. 787) Raktavastrottariyaka : She Who is Clothed in Red Garment. 788) Yava : She Who is Passion. 789) Yavakasinduraraktacandanadharini : She Who Wears Vermilion and Red Sandal Paste. 790) Yavayavakasinduraraktacandanarupadhrk : She Whose Youthful Countenance is Constantly Adorned with Red Vermilion and Red Sandal Paste. 791) Camari : She Who is Inconstant. 792) Vacakutilanirmalasyamakesini : She Who is Spoken of as One Who Has Pure Dark Wavy Hair. 793) Vajramauktikaratnadyakiritamukutojjvala : She in Whose Crown the Pearls and Jewels are Shinning Like Lightening. 794)Ratnakundalasamyuktasphuradgandamanorama : She Who Disseminates a Beautiful Scent is Wearing a Necklace of Radiantly Shinning Jewels Which are United Together. 795) Kunjaresvarakumbhotthamuktaranjitanasika : She Who Wears an Extremely Beautiful Nose Ring which is made from the Supreme Lord of All Jewels and Pearls. 796) Muktavidrumamanikyaharadhyastanamandala : She Who Wears a Necklace of Exquisitely beautiful Pearls and Jewels in the region of Her Breast. 797) Suryakantendukantadhyasparsamakanthabhusana : She Whose Throat is Shinning by the Ultimate Touch of the Sun and the Moon. 798) Bijapurasphuradbijadantapamktiranuttama : She Whose Fifteen Excellent Teeth are Completely Shinning with Bija Mantra. 799) Kamakodandakabhugnabhruyugaksipravartini : She Whose Eye in the Middle of Her Forehead Disciplines Desire. 800)Matangakumbhavaksoja : She Whose Breasts Give Nourishment to Existence. 801) Iasatkokanadeksana : She Who Especially Loves the Red Lotus Flower. 802) Manojnasaskulikarna : She Who Knows the Entire Path from the Ear to the Mind. 803) Hamsigatividambini : She Who is the Mother of the Swan Motion. 804) Padmaragamgadadyotaddoscatuskaprakasini : She Whose Lotus-like Body is the Illuminator of the Four Vedas. 805) Nanamaniparisphuryacchuddhakancanakamkana : She Who Wears Bracelets Shining with Various Gems and Jewels. 806) Nagendradantanirmanavalayancitapanika : She Whose Fingers of Her Hands Bear Rings of Ivory and Other Gems. 807) Amguriyakacitramgi : She Who Wears Rings on Various Parts of Her Body. 808) Vicitraksudraghantika : She Who Holds an Unusually Small Bell. 809) Pattambaraparidhana : She Who Wears Shiny Silk Cloth. 810) Kalamanjiraranjini : She Who Enjoys the Tinkling of Cymbals to Accompany Devotional Chanting. 811) Karpuragurukasturikumkumadravalepita : She Who Wears Unguents of Camphor, Woodapple, and Musk mixed with Red Paste. 812) Vicitraratnaprthivikalpasakhatalasthita : She Who is Situated on the Earth Covered with Various Jewels at the Foot of the Tree of All Fulfillment. 813) Ratnadvipasphuradratnasimhasananivasini : She Who Sits upon a Seat of Jewels From the Purity of the Island of Jewels. 814) Satcakrabhedanakari : She Who Pierce the Six Centers of Energy. 815) Paramanandarupini : She Who is the Intrinsic Nature of the Supreme Bliss. 817) Brahmarupasivakrodananasukhavilasini : She Who Resides in the Form of Supreme Divinity, in the Anger of Siva, and in Various Forms of Pleasure. 818) Haravisnuvirancindragrahanayakasevita : She Who is Served by Siva, Visnu, Brahma, Indra and the Leaders of the Planets. 819) Atmayonih : She Who is the Womb of the Soul. 820) Brahmayonih : She Who is the Womb of the Supreme Divinity. 821) Jagadyonih : She Who is the Womb of Perceivable Universe. 822) Ayonija : She Who Does Not Take Birth from any womb. 823) Bhagarupa : She Who is the Form of Wealth. 824) Bhagasthatri : She Who resides Within Wealth. 825) Bhaginibhagadharini : She Who Upholds Wealth and is the Wealth. 826) Bhagatmika : She Who is the Capacity for the Support of Wealth. 827) Bhagadhararupini : She Who is the Intrinsic Nature of the Manifestation of Wealth. 828) Bhagasalini : She Who Responses in Wealth. 829) Lingabhidhayini : She Who is a Progenitor of the Subtle Body. 830) Lingapriya : She Who is the Beloved of the Subtle Body. 831) Linganivasini : She Who resided Within the Subtle Body. 832) Lingastha : She Who is Situated in the Subtle Body. 833) Lingini : She Who is the Capacity of the Subtle Body. 834) Lingarupini : She Who is the Intrinsic Nature of the Subtle Body. 835) Lingasundari : She Who is the Beautiful One in the Subtle Body. 836) Lingagitimahapritih : She Who is Greatly Enamored of the Songs of Subtlety. 837) Bhagagitirmahasukha : She Who Derived great Pleasure from the Wealth of Songs. 838) Linganamasadananda : She Who Always Takes Delight in the Subtle Name. 839) Bhaganamasadaratih : She Who is Always Inspired by the Name Which Bears Wealth. 840) Bhaganamasadananda : She Who is Always in Bliss with the Names Which Bear Wealth. 841) Linganamasadaratih : She Who is Always Inspired by the Names of Subtlety. 842) Lingamalakanthabhusa : She At Whose Throat Shines Forth the Garland of Subtlety. 843) Bhagamalavibhusana : She Who Shines Forth with the Garland of Wealth. 844) Bhagalimgamrtaprita : She Who is Beloved of the Subtle Nectar of Wealth. 845) Bhagalingamrtatmika : She Who is the Capacity of the Subtle Nectar of Wealth to Manifest. 846) Bhagalingarcanaprita : She Who is the Beloved of the Offering of Subtle Wealth. 847) Bhagalingasvarupini : She Who is the Intrinsic Nature of Subtle Wealth. 848) Bhagallingasvarupa : She Who is the Essence of Subtle Wealth. 849) Bhagalingasukhavaha : She Who is the Conveyance of the Pleasure of Subtle Wealth. 850) Svayambhukusumaprita : She Who is the Beloved of the Flower Which is Born of Itself. 851) Svayambhukusumarcita: She Who is the Offering of the Flower Which is Born of Itself. 853) Svayambhukusumotthita : She Who Raises Aloft the Flower Which is Born of itself. 854) Svayambhukusumasnata : She Who is Bathed by the Flower Which is Born of Itself. 855) Svayambhupuspatarpita : She Who is the Offering to Ancestors of the Flowers which is Born of Itself. 856) Svayambhupuspaghatita : She Who is the Refuge of the Flower Which is Born of Itself. 857) Svayambhupushadharini : She Who Upholds or Supports the Flower Which is Born of Itself. 858) Svayambhupushatilaka : She Who Wears a Tilak Made of the Flower Which is Born of Itself. 859) Svayambhupuspavarcita : She Who Offers the Flowers Which is Born of Itself. 860) Svayambhupuspanirata : She Who is Absorbed in the Essence of the Flower Which is Born of Itself. 861) Svayambhukusumagraha : She Who is Beyond the Worlds of the Flower Which is Born of Itself. 862) Svayambhupuspayajnamga : She Who Offers in Sacrifice to Her Own Self the Flower Which is Born of Itself. 863) Svayambhukusumatmika : She Who is the Capacity of the Soul to Manifest the Flower Which is Born of Itself. 864) Svayambhupusparacita : She Who is the Expression of the Flower Which is Born by Itself. 865) Svayambhukusumapriya : She Who is the Beloved of the Flower Which is Born by Itself. 866) Svayambhukusumadanalalasonmattamanasa : She Whose Mind is Intoxicated with Desire for the Flower Which is Born by Itself. 867) Svayambhukusumanandalaharisnigdhadehini : She Whose Friendly Body Experience Waves of Bliss from the Flower Which is Born by Itself. 868) Svayambhukusumadhara : She Who Supports the Flower Which is Born by Itself. 869) Svayambhukusumakula : She Who is the Family of the Flower Which is Born by Itself. 870) Svayambhupuspanilaya : She Who Resides in the Flower Which is Born by Itself. 871) Svayambhupuspavasini : She Who Sits on the Flower Which is Born by Itself. 872) Svayambhukusumasnigdha: She Who is the Friend of the Flower Which is Born by Itself. 873) Svayambhukusumotsuka : She Who is the Supreme Pleasure of the Flower Which is Born by Itself. 874) Svayambhupuspakarini : She Who is the Cause of the Flower Which is Born by Itself. 875) Svayambhupspapalika : She Who is the Protector of the Flower Which is Born by Itself. 876) Svayambhukusumadhyana : She Who is the Student or Meditator on the Flower Which is Born by Itself. 877) Svayambhukusumaprabha : She Who is the Radiance of the Flower Which is Born by Itself. 878) Svayambhukusumajnana : She Who is the Wisdom of the Flower Which is Born by itself. 879) Svayambhupuspabhogini : She Who is the Enjoyer of the Flower Which is Born by Itself. 880) Svayambhukusumananda : She Who is the Bliss of the Flower Which is Born by Itself. 881) Svayambhupuspavarsini : She Who Causes the Rain of the Flower Which is Born by Itself. 882) Svayambhukusumatsaha : She Who is the Enthusiasm of the Flower Which is Born by Itself. 883) Svayambhupuspapuspini : She Who is the Flower of the Flower Which is Born by Itself. 884) Svayambhukusumotsamga : She Who is Always With the Flower Which is Born by Itself. 885) Svayambhupusparupini : She Who is the Intrinsic Nature of the Flower Which is Born by Itself. 886) Svayambhukusumonmada : She Who is the Intoxication of the Flower Which is Born by Itself. 887) Svayambhupuspasundari : She Who is the Beauty of the Flower Which is Born by Itself. 888) Svayambhukusumaradhya : She Who is Delighted by the Flower Which is Born by Itself. 889) Svayambhukusumodbhava : She Who Gives Birth to the Flower Which is Born by Itself. 890)Svayambhukusumavyagra : She Who Distinguishes the Flower Which is Born by Itself. 891) Svayambhupuspavarnita : She Who Expresses the Flowers Which is Born by Itself. 892) Svayambhupukakaprajna : She Who is the Supreme Wisdom of Worship of that Which is Born by itself. 893) Svayambhuhotrmatrka : She Who is the Mother of the Supreme Wisdom of Sacrifical Worship of that Which is Born by Itself. 894) Svayambhudatrraksitri : She Who Protects the Bestower of that Which is Born by itself. 895) Svayambhubhaktabhavika : She Who Intuitively Understands the Attitude of Devotion of that Which is Born by Itself. 896) Svayambhukusumaprajna : She who is the Wisdom of the Flower Which is Born by Itself. 897) Svayambhupujakapriya : She Who is the Beloved of the Worship of that Which is Born by Itself. 898) Svayambhuvandakadhara : She Who Supports the cause of Worship of that Which is Born by Itself. 899) Svayambhunindakantaka : She who is the Cause of the End of that Which is Born by itself. 900) Svayambhupradasarvasva : She who is the Bestower of all the Which is Born by Itself. 901) Svayambhunindakantaka : She Who is the Intrinsic Nature of the Bestower of that Which is Born by Itself. 902) Svayambhupradasasmera : She Who is the Remembrance of the bestower of that Which is Born of Itself. 903) Svayambharddhasaririni : She Who is the Half Body of that Which is Born By Itself. 904) Sarvakalodbhavaprita : She Who is the Beloved Who Gives Birth to All Time. 905) sarvakalodbhavatmika : She Who Has the Capacity of the Expression of the Soul Which Gives Birth to All Time. 906) Sarvakalodbhava : She Who is the Attitude of All Time. 907) Sarvakalodbhavodbhava : She Who Gives Birth To Time. 908) Kundapuspasadapritih : She Who is the Beloved of All the Flowers in the Receptacle. 909) Golapuspasadagatih : She Who Always Moves with the Flowers of Light. 910) Kundagolodbhavaprita : She Who is the Beloved of the Light in Receptacle. 912) Sukradhara : She Who is the Supporter of Purity. 913) Sukrarupa : She Who is the Form of Purity. 914) Sukrasindhunivasini : She Who Resides Within the Ocean of Purity. 915) Sukralaya : She Who has Indestructible Purity. 916) Sukrabhoga : She Who is the Enjoyer of Purity. 917) Sukrapujasadaratih : She Who is Delighted by Worship with Purity. 920) Rakrapujasadaratih : She Who is Constantly Delighted by Worship with Passion. 921) Rakrapuja : She Who is Worshipped with Passion. 922) Raktahoma : She Who is Offered Sacrificial Offerings With Passion. 923) Raktastha : She Who is Situated in Passion. 924) Raktavatsala : She Who Takes Refuge in Passion. 925) Raktavama : She Who is the Description of Passion. 926) Raktadeha : She Who has the Body of Passion. 927) Raktapujakaputrina : She Who is the Daughter Born From Worship With Passion. 928) Raktadyuti : She Who is the Dignity of Passion. 929) Raktasprha : She Who is the Touch of Passion. 931) Raktasundari : She Who is Beautiful Passion. 932) Raktabhidheya : She Who Knows Passion. 933) Raktarha : She Who is Worthy of Passion. 934) Raktakandaravandita : She Who is Celebratted as the Passion of the God of Love. 935) Maharakta : She Who is Great Passion. 936) Raktabhava : She Who Exists in Passion. 937) Raktasrstividhayini : She Who Gives the Creation of Passion. 938) Raktasnata : She Who Bathes in Passion. 939) Raktasikta : She Who is Soaked in Passion. 940) Raktasevtatiraktini : She Who Becomes Extremely Passionate with the Selfless Service of Passion. 941) Raktanandakari : She Who Manifests the Bliss of Passion. 942) Raktasadanandavidhayini : She who Always Gives the Bliss of Passion. 943) Raktasaya : She Who Rests Within Passion. 944) Raktapurna : She Who gives Full, Complete and Perfect Passion. 945) Raktasevya : She Who is Served by Passion. 947) Raktapujakasarvasva : She Who is Worshipped in All With Passion. 948) Raktanindakanasini : She Who Destroys the Criticism of Passion. 949) Raktatmika : She Who is the Soul’s Capacity for the Expression of Passion. 950) Raktarupa : She Who is a Form of Passion. 951) Raktakarsanakarini : She Who is the Cause of the Attraction of Passion. 952) Raktotsaha : She Who is the Enthusiasm of Passion. 953) Raktadhya : She Who Rides Upon Passion. 954) Raktapanaparayana : She Who Drinks With Passion. 955) Sonitanandajanani : She Who is the Mother of the Bliss of the Female Seed of Life. 956) Kallolasnigdharupini : She Who is the Intrinic Nature of Attachment to the Family. 957) Sadhakantargata Devi : She Who is the Goddess Who Goes Inside Sadhus. 958) Payini : She Who is Pure Nourishment. 960) Sadhakanam Sukhakari : She Who is the Giver of Delight to All Sadhus. 961) Sadhakarivininasini : She Who Destroys the Impurity of All Sadhus. 962) Sadhakanam Hrdisthatri : She Who is Situated in the Heart of All Sadhus. 963) Sadhakanandakarini : She Who is the Cause of the Bliss of All Sadhus. 964) Sadhakananca Janani : She Who is the Mother of the Bliss of All Sadhus. 965) Sadhakapriyakarini : She Who is the Cause of the Love of Sadhus. 966) Sadhakapracuranandasampatti Sukhadayini : She Who Gives the Wealth of Delight and Extreme Bliss to Sadhus. 967) Sukrapujya : She Who is Worshipped by Purity. 968) Sukrahomasantusta : She who is Satisfied with Sacrificial Offerings of Purity. 969) Sukravatsala : She Who Takes Refuge in Purity. 970) Sukramurtih : She Who is the Image of Purity. 971) Sukradeha : She Who is the Embodiment of Purity. 972) Sukrastha : She Who is Situated in Purity. 973) Sukrapujakaputrini : She Who is the Daughter of Worship with Purity. 974) Sukrini : She Who is Supreme Purity. 975) Sukrasamsprha : She Who is the Complete Touch of Purity. 976) Sukrasundari : She Who is the Beauty of Purity. 978) Sukrakari : She Who is the Manifestation of Purity. 979) Sukrasevyatisukrini : She Who is the Supreme Purity Served by the Pure. 980) Mahasukra : She Who is the Great Purity. 981) Sukrabhava : She Who is Pure Existence. 982) Sukravrstividhayini : She Who is the Giver of the Rain of Purity. 983) Sukrabhidheya : She Who is the Supreme Wisdom of Purity. 984) Sukrarhasukravandakavandita : The Pure of the Pure Consider Her as the Worshiped of the Worshipped. 985) Sukranandakari : She who is the Expression of the Bliss of Purity. 986) Sukrasadanandavidhayini : She Who Always Gives the Bliss of Purity. 987) Sukrotsava : She Who Enjoys the festivals of Purity. 988) Sadasukrapurna : She who Always Manifests Full, Complete and Perfect Purity. 989) Sukramanorama : She Who is the Beauty of Purity. 990) Sukrapujakasarvasva : She Who is Worshipped As the Pure in All. 991) Sukranindakanasini : She Who is the Destroyer of the Criticism of Purity. 992) Sukratmika : She Who Has the Capacity of the Soul of Purity. 993) Sukrasampacchukrakarsakarini : She Who is the Cause of Attraction of the Wealth of Purity. 994) Sarada : She Who is the Giver of All. 995) Sadhakaprana : She Who is the Lifeforce of sadhus. 996) Sadhakasaktamanasa : She Who Disables the Divisive Thoughts of Sadhus. 997) sadhakottamasarvasvasadhika : She Who is the Female Sadhu of all Excellent Sadhus. 998) Bhaktavatsala : She Who is the Refuge of Devotees. 999) sadhakanandasantosa : She Who is Completely Pleased with Bliss. 1000) Sadhakadhivinasini : She Who is the Destroyer of All Thoughts of Sadhus. 1001) Atmavidya : She Who is the Knowledge of the Soul. 1002) Brahmavidya : She Who is the Knowledge of Supreme Divinity. 1003) Parabrahmmasvarupini : She Who is the Intrinsic Nature of Supreme Divinity. 1004) Trikutastha : She Who is Established in Three Places. 1005) Pamcakuta : She Who is Established in Five Places. 1006) Sarvakutasaririni : She Who is the Embodiment of All Places. 1007) Sarvavamayi : She who is the Expression of All That can be Expressed. 1008) Varnajapamalavidhyini : She Who is the Giver of the Garland of All Expressions Which can be Recited.